An excellent trailer for small bay and skiff boats in coastal areas. 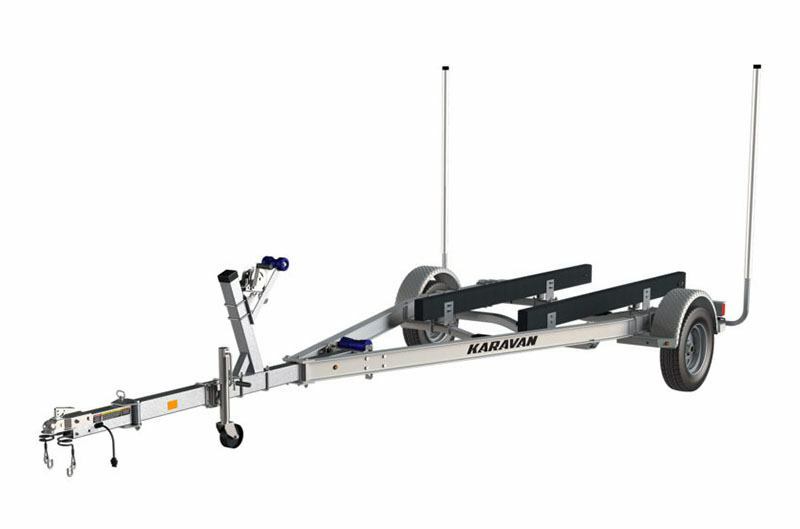 Karavan’s SwayControl™ engineering ensures superior road performance, and smart lighting and wheel bearing systems provide built-in reliability. The attractive aluminum design can withstand tougher saltwater environments.